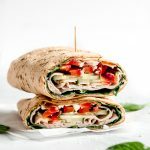 Turkey Ranch Wraps are quick, easy, healthy, and tasty! 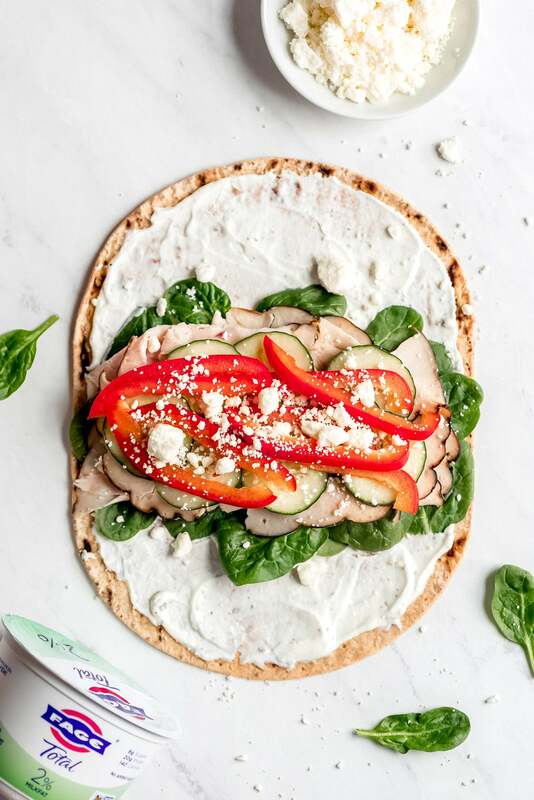 These wraps are filled with spinach, crisp veggies, turkey, feta, and a creamy Greek yogurt ranch spread. Make these for a light, high protein lunch or snack! This post is sponsored by FAGE; however, all thoughts and opinions are my own. Trying to eat healthier this year? 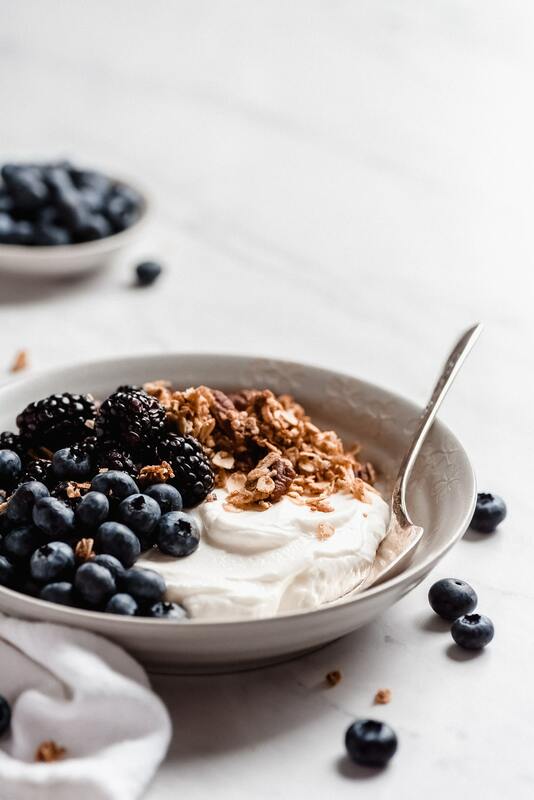 Today I’m going to walk you through all your meals and snacks to show you how to make them a little healthier with the help of just one ingredient- plain Greek yogurt. It’s great for spreads like in these Turkey Ranch Wraps or even in muffins to add more protein and create a tender crumb. 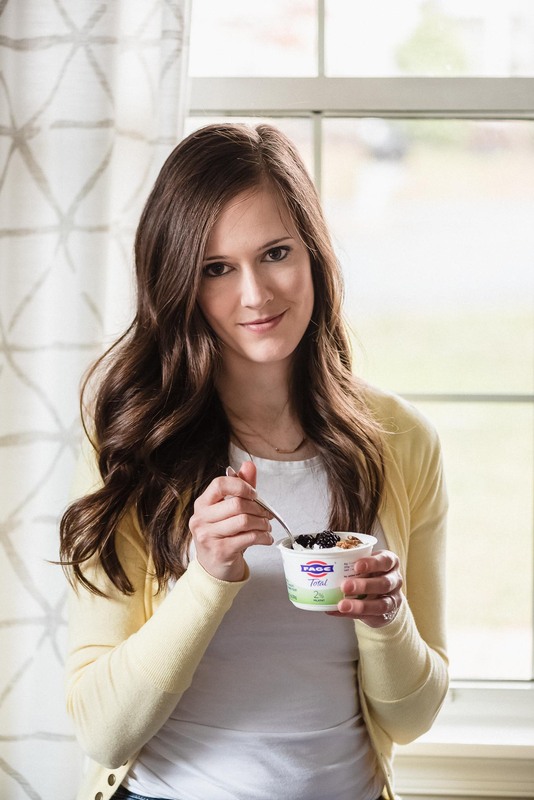 The easiest way to add more Greek yogurt into your diet is to enjoy a delicious yogurt bowl! This is a great way to start the day because it’s full of protein, carbs, a little fat, and the fruit provides antioxidants. 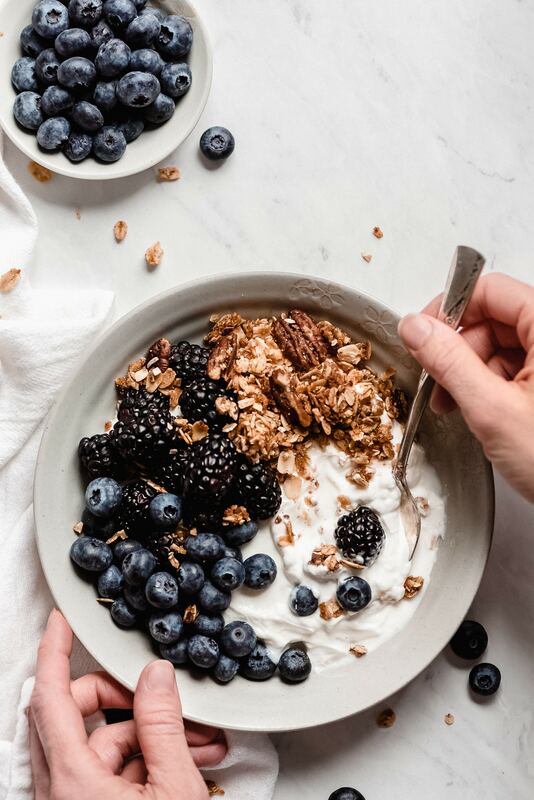 To make a smoothie bowl, just place about 1 cup of FAGE Total 2% Plain Greek Yogurt into a bowl and top it with berries, banana, the BEST Homemade Granola, nuts, seeds… whatever you have on hand or enjoy. 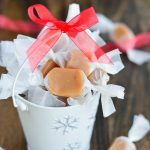 I find the sweet fruit and granola to have enough sugar for this unsweetened yogurt, but you can always drizzle on a little honey or maple syrup. Load up on veggies by dipping them into a high protein 2-ingredient ranch dip! 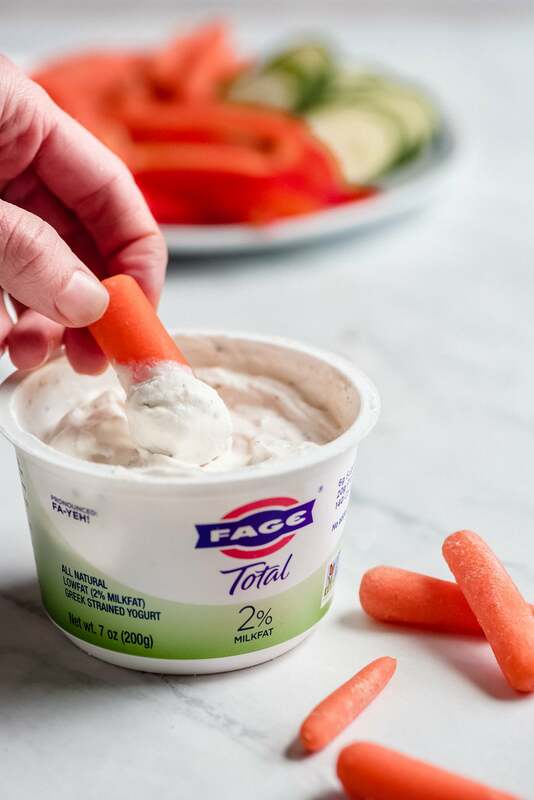 To make your own yummy dip, just mix 1 tablespoon ranch dressing seasoning mix into a 7 ounce container of FAGE Total 2% Greek Yogurt. As much as I love hummus, this dip has WAY more protein (20 grams) and less fat (4 grams). It also has 25% of your daily calcium needs. It’s leaps and bounds more nutrient rich than the traditional ranch dressing you’ve been dipping your carrots in. 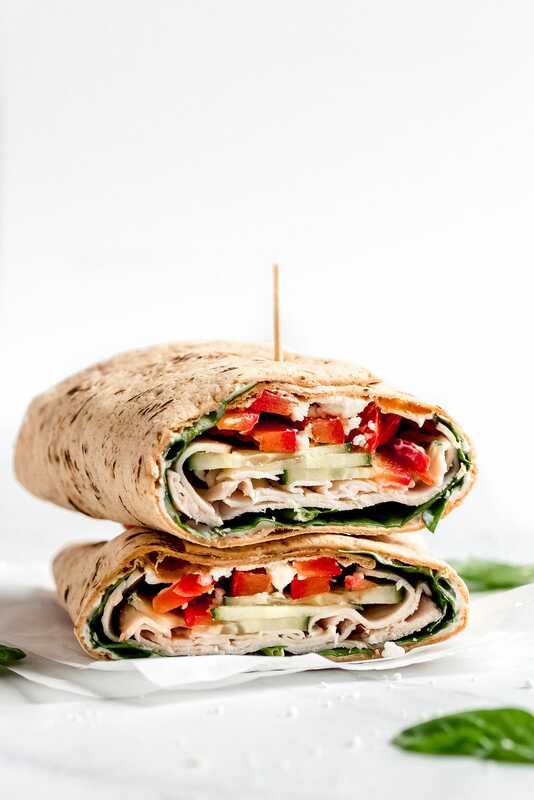 Turkey Ranch Wraps are a great healthy lunch that allows you to really load up on veggies. Sauces or dressings are often used in wraps to give flavor and moisture to the dish. For this wrap, whip up the spread by mixing the ranch seasoning mix into the yogurt (remember doing that to make the veggie dip mentioned above???). Slather it on the wrap or tortilla and then load on all the veggies, proteins… whatever you want in there, wrap it up and eat it! Easy peasy! 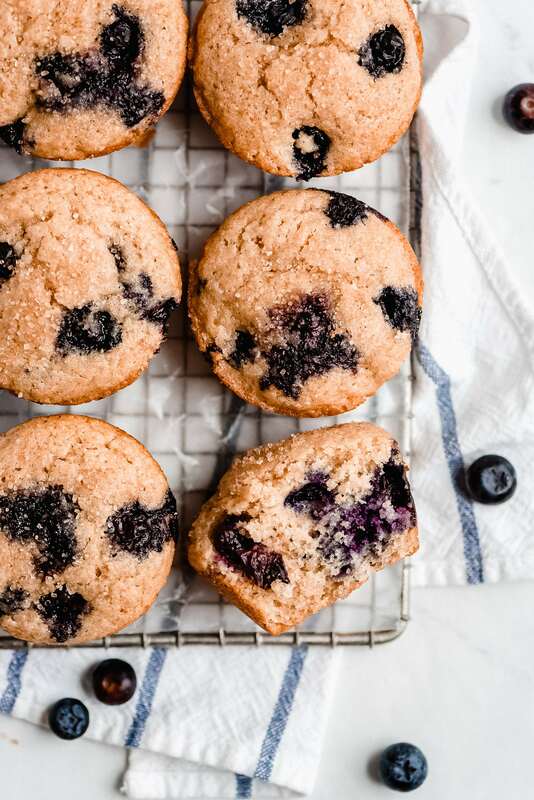 These Greek Yogurt Blueberry Muffins are the perfect mid-afternoon sweet treat. 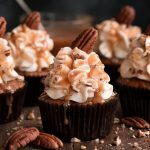 The Greek Yogurt gives these muffins a soft and moist crumb as well as increases the protein. The protein and fat in the muffin help with satiety (feeling full until hunger strikes again). 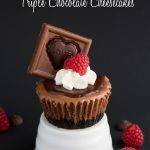 They’re also made with whole wheat flour to add a little more fiber. I just love that this muffin tastes like a treat but is more nutrient dense than your typical bakery muffin. The easiest way to incorporate Greek yogurt into your dinner recipes is to swap it out for sour cream. Having chili, taco soup, nachos, enchiladas…? Use a dollop of Greek yogurt instead of sour cream! Not only is it lower in fat, but it is packed with protein. Greek yogurt is also an awesome marinade. It helps to really tenderize the meat. I use Greek yogurt in my Chicken Tikka Masala recipe which is one of my absolute favorite meals. What is the best Greek Yogurt? I highly recommend all-natural FAGE Total 2% Plain Greek Yogurt. 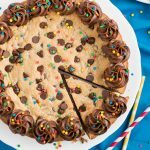 It is thick, creamy, low in fat, and rich in protein. It also has no added sugar, in Non-GMO Project Verified, and is made with just milk and live active yogurt cultures. As long as it is stored properly in the fridge, Greek Yogurt retains its quality for up to 5 days after opening. Greek Yogurt is packed with protein. 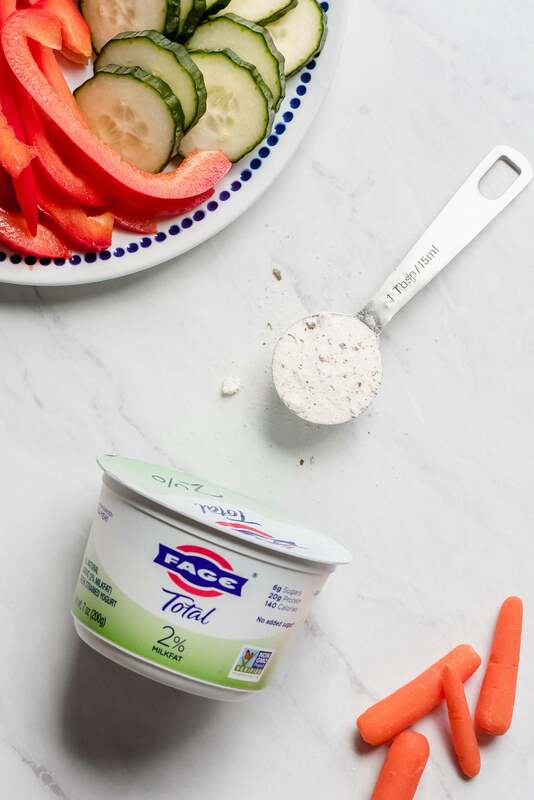 In just one 7-ounce serving of FAGE Total 2% Plain Greek Yogurt, there are 20 grams of protein. Protein is not only great for building muscle and feeling full, but it also plays a role in the health of your bones, skin, cartilage, hair, immune system, and blood. This yogurt is a great source of protein especially for those that don’t eat meat. Plain Greek yogurt is free of added sugar. The 6 grams of carbohydrates comes from naturally occurring milk sugars. Calcium is an important mineral for bone health and a serving of FAGE Total 2% Plain Greek Yogurt has 25% of your daily needs. Probiotics are found in Greek yogurt and help to boost your immune system as well as keep your gut healthy. They’re healthy bacteria that aid in digestion and have been shown to decrease stomach problems and help maintain weight. 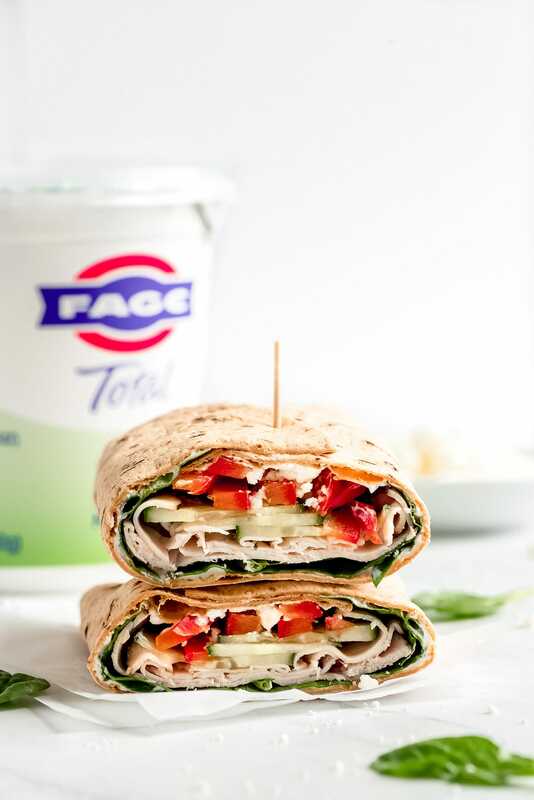 For more recipes using Greek yogurt, head to FAGE! Turkey Ranch Wraps are quick, easy, healthy, and tasty! 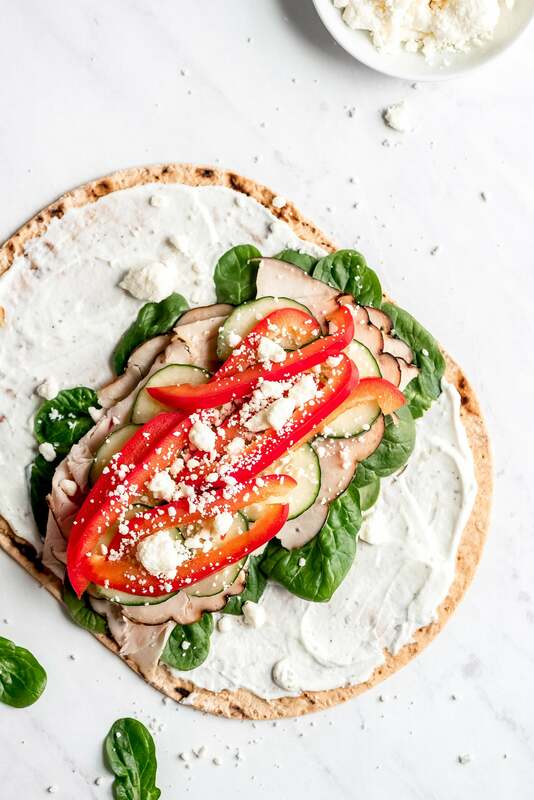 These wraps are filled with spinach, crisp veggies, turkey, feta, and a creamy Greek yogurt ranch spread. Make these for a light, high protein lunch or snack! Add the ranch powder mix to the FAGE Total 2% Greek Yogurt and mix until combined and smooth. Lay a wrap on a plate. Spread 2-3 tablespoons of the ranch yogurt spread over the surface. Down the middle of the wrap, layer the spinach, turkey, cucumber, and bell pepper. Sprinkle the cheese over the top. Fold up the sides and serve.